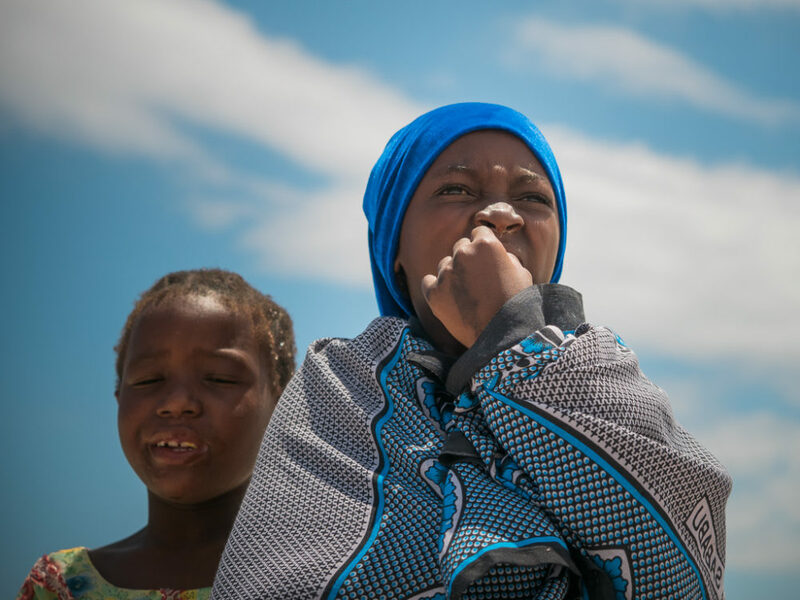 The combination of heat and humidity hit us immediately upon exiting the plane on the tarmac of the Zanzibar airport. 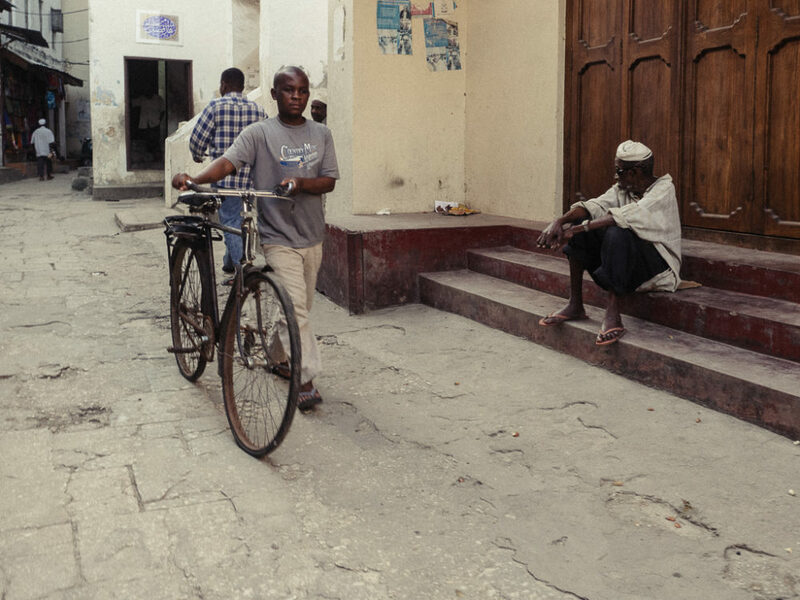 We spent the next three hours wandering the maze of Stone Town streets. 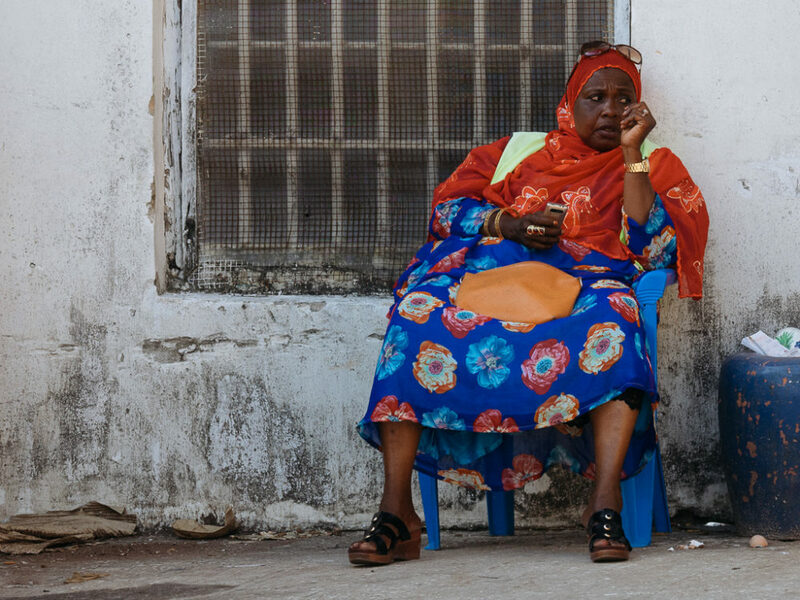 A woman resting in the streets of Stone Town. 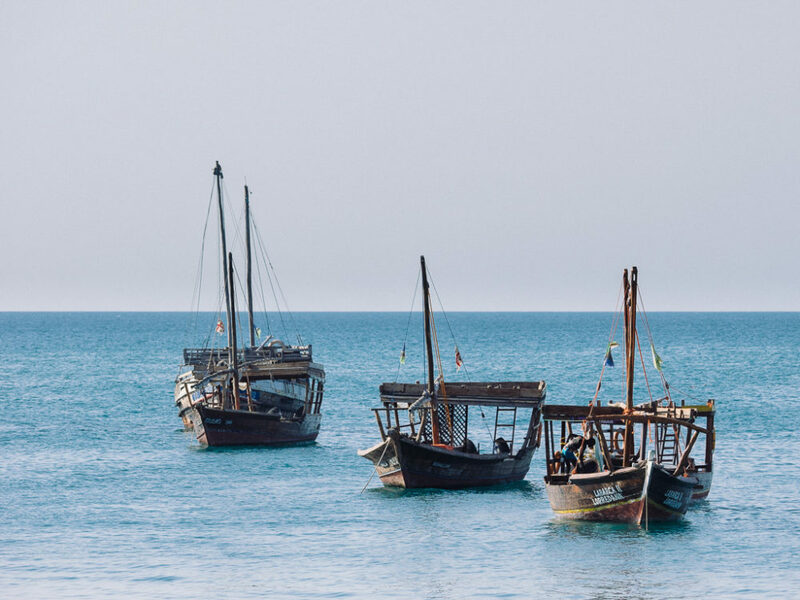 Boats in the port of Stone Town, in Zanzibar. 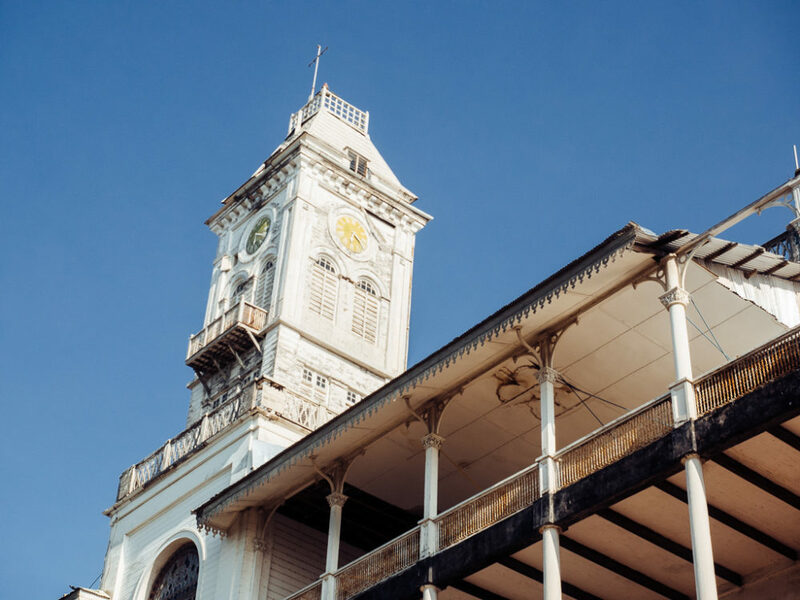 The clock on the Stone Town palace. 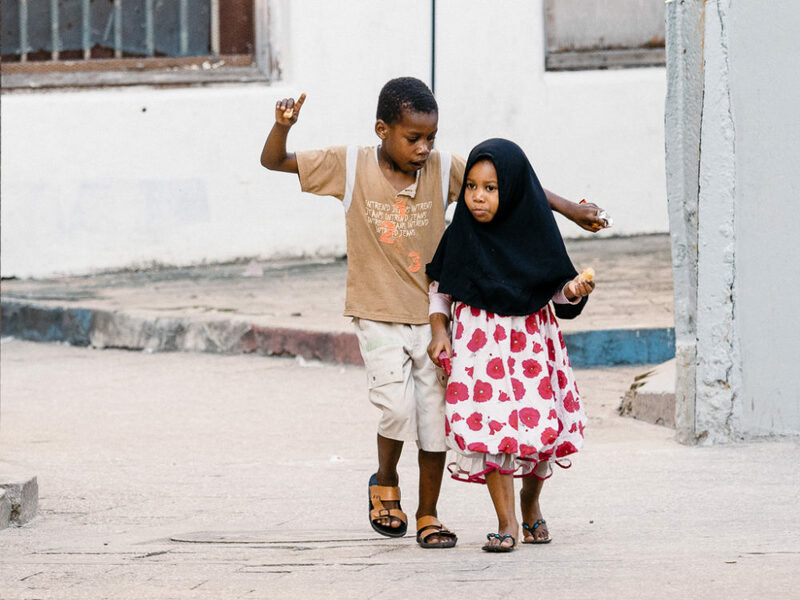 Brother and sister in Stone Town. 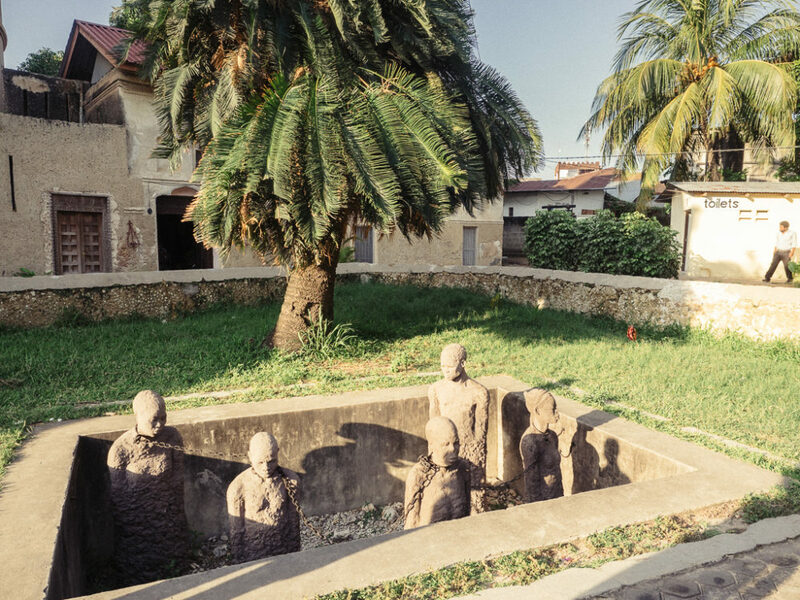 the slavery memorial outside the Anglican Christ Church in Stone Town. The streets are full of life, mostly a relaxed life. 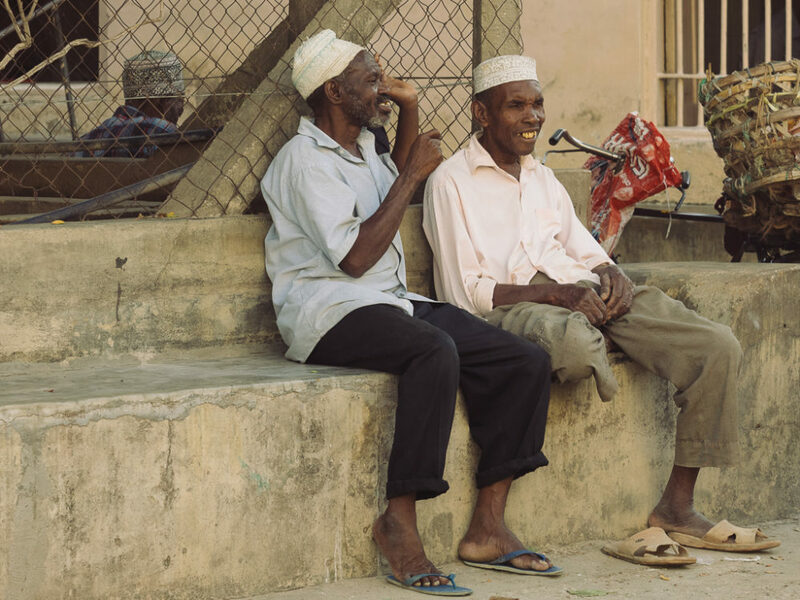 Stone Town is one of the safest places to visit. 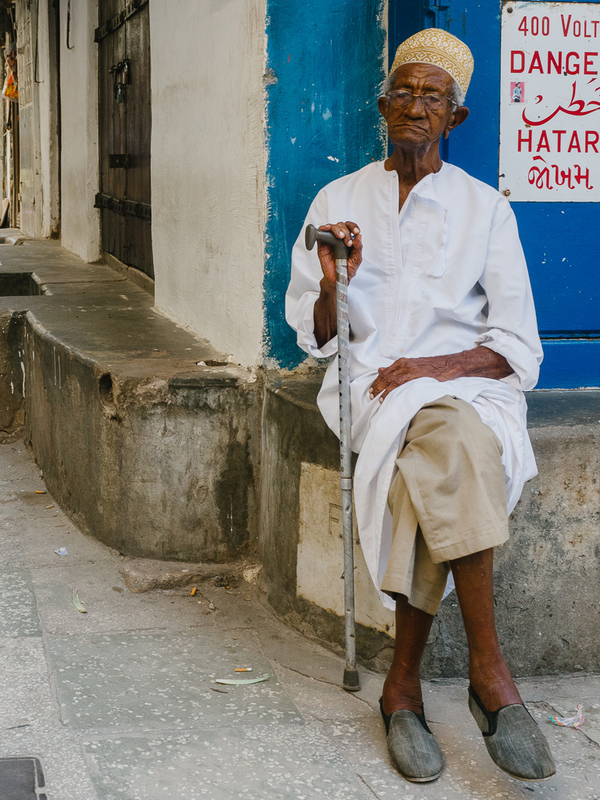 An elder in Stone Town. 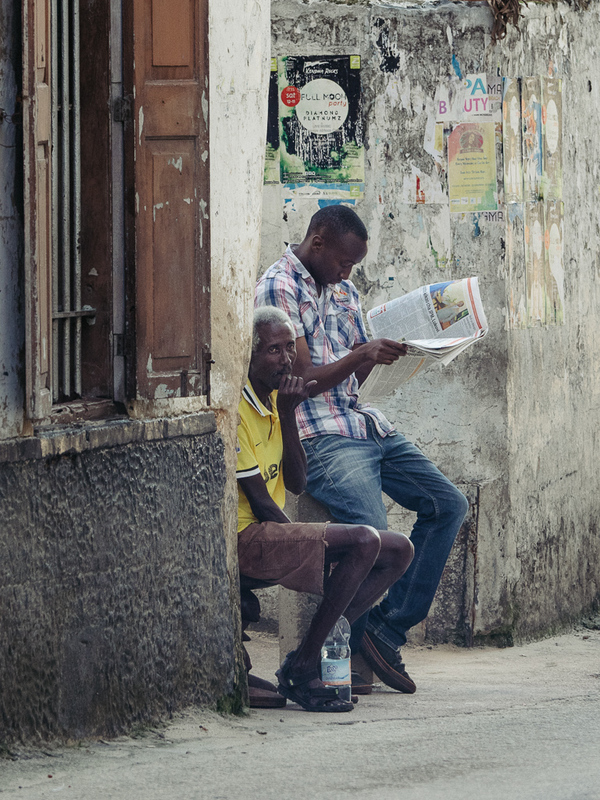 Two mean killing time in the narrow streets of Stonetown. 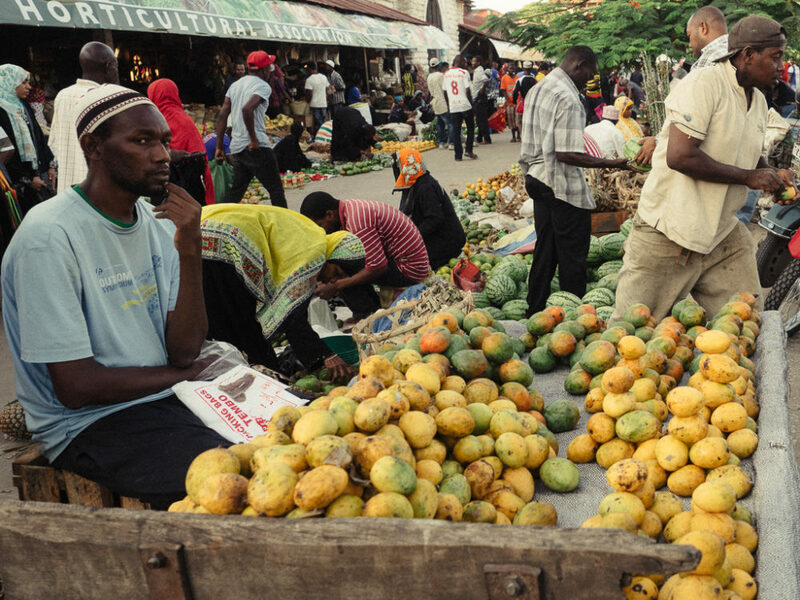 A man shopping in the central market in Stone Town. 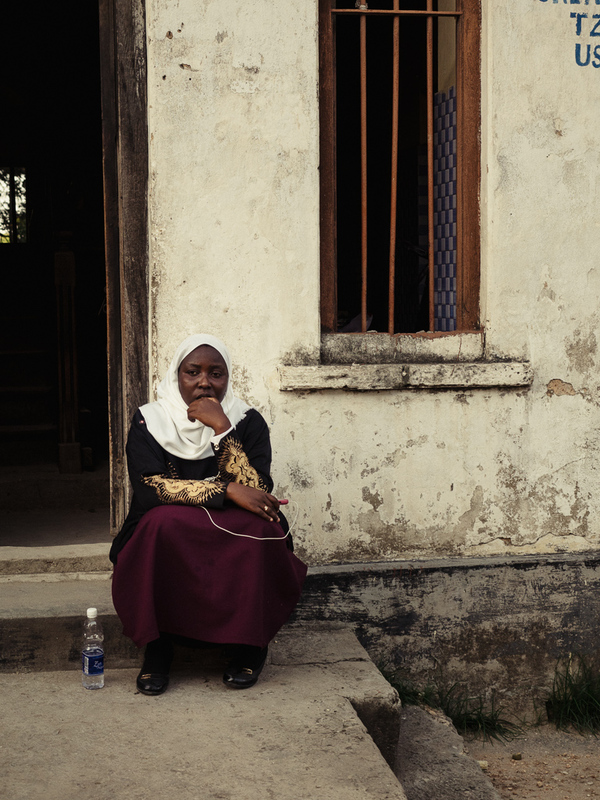 A lady resting in front of a house in Stone Town. 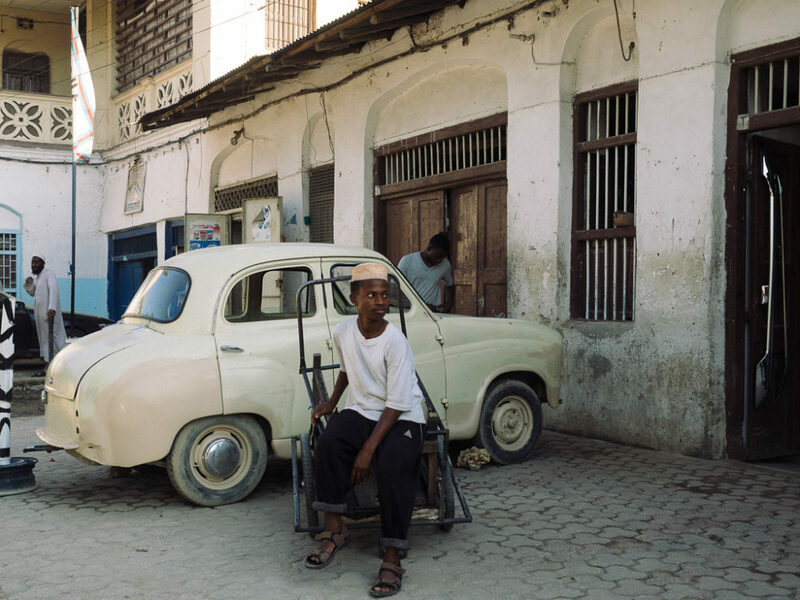 An old car outside a car repair shop in Stone Town. 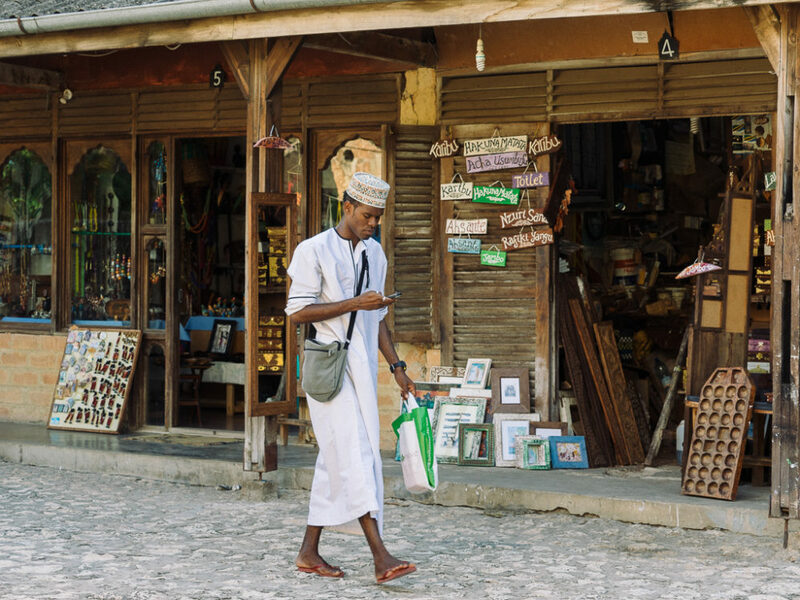 A young guy in Stone Town, checking his smart phone. The main market is particularly colorful, divide into the outside market, the smelly fish market and the sheltered food market. 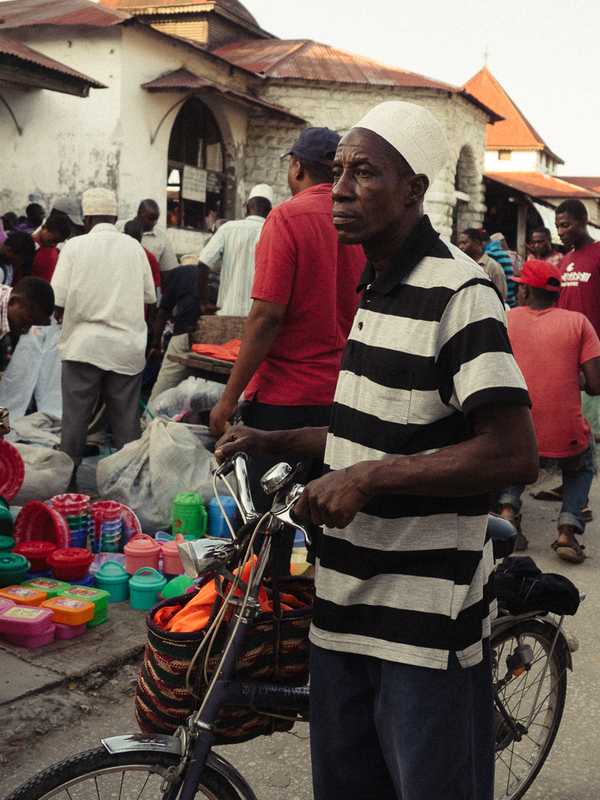 Vendors outside the fish market of Stone Town. 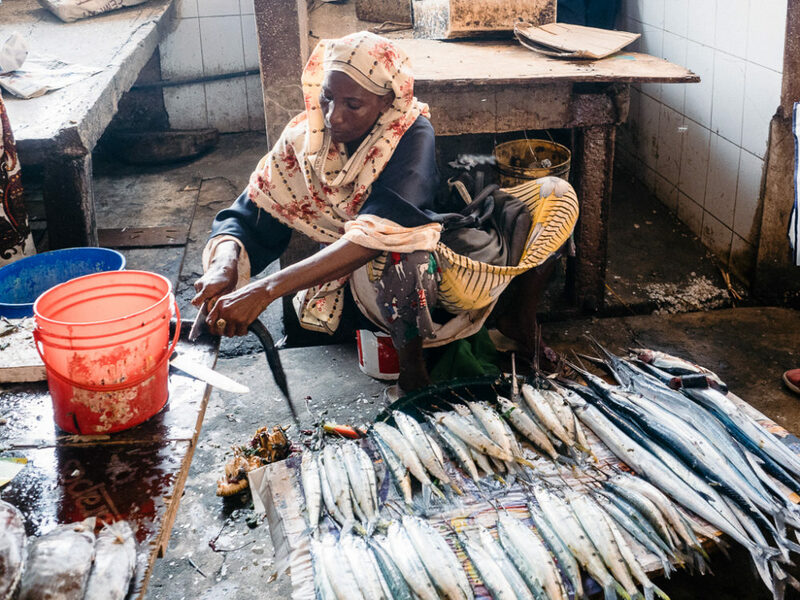 A woman selling fish in the fish market of Stone Town. 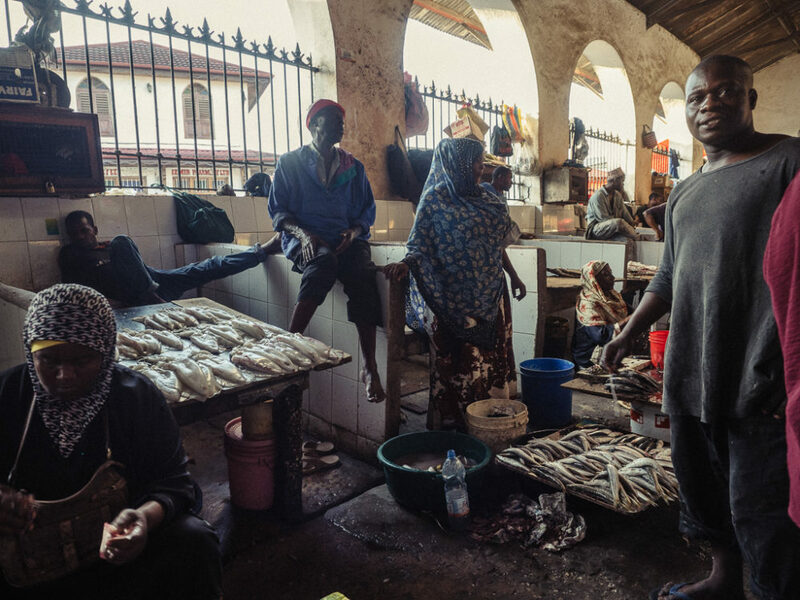 The fish market in Stonetown. 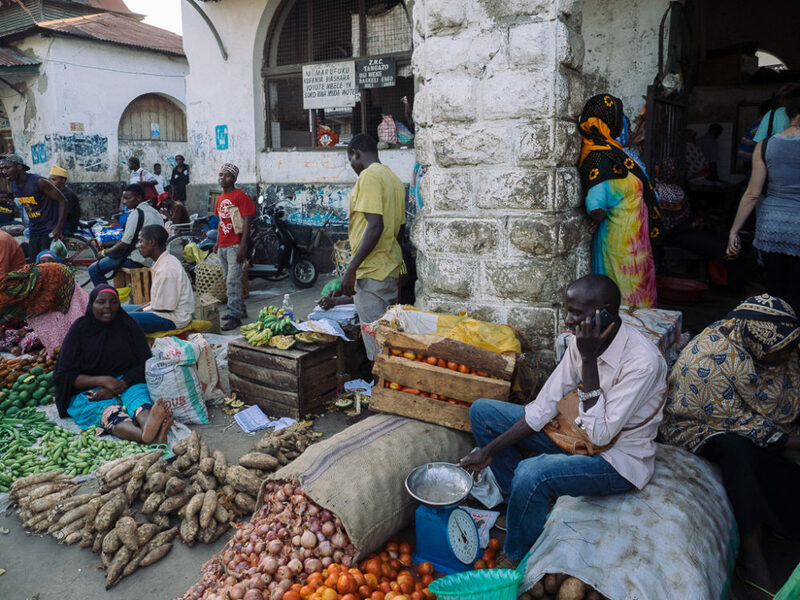 The open fruit and vegetable market, outside the fish market in Stone Town. 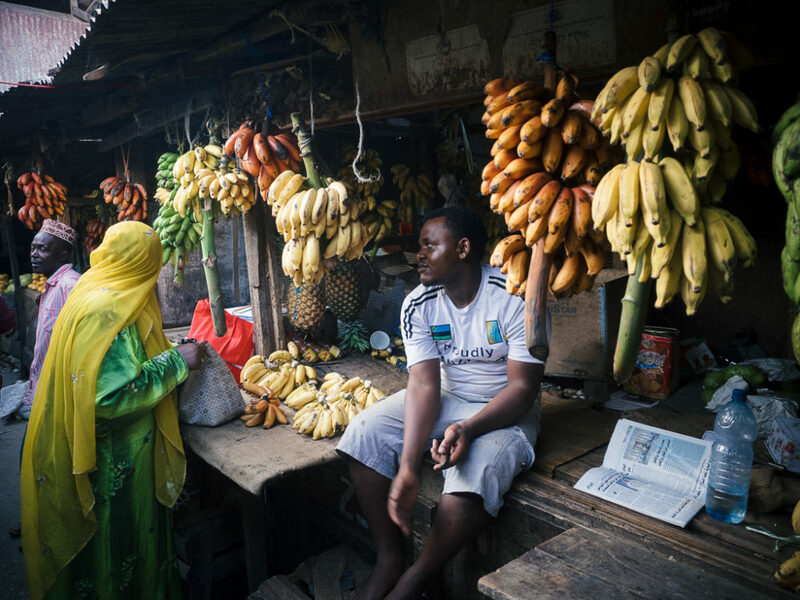 Bananas for sale in the food market in Stone Town. 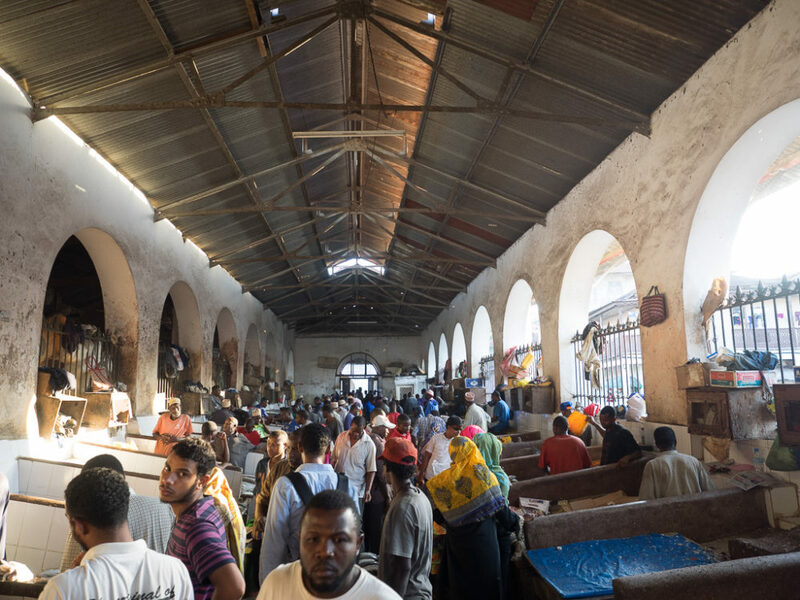 Inside the fish market in Stone Town. 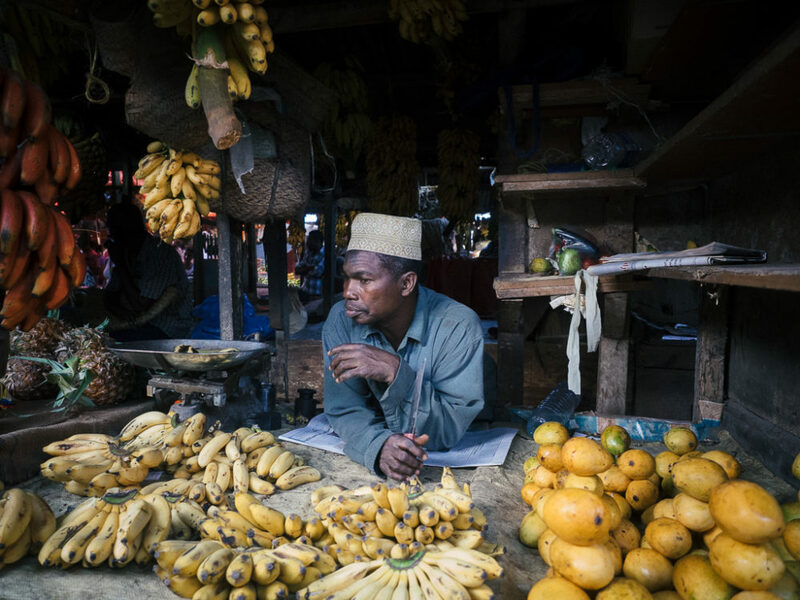 A vendor waiting for his next customer in the Stone Town food market. 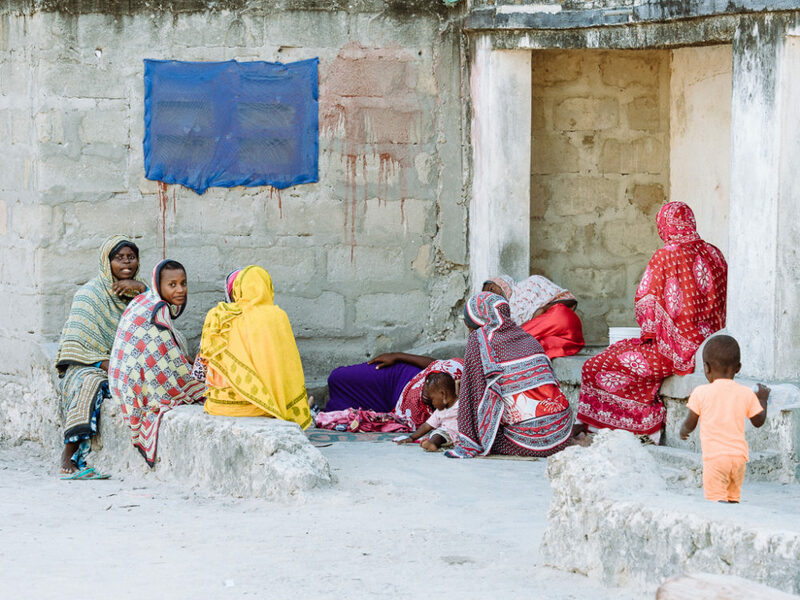 People are very easing going in Zanzibar, but they have a thing against taking their picture. One must either ask for permission or steal it. 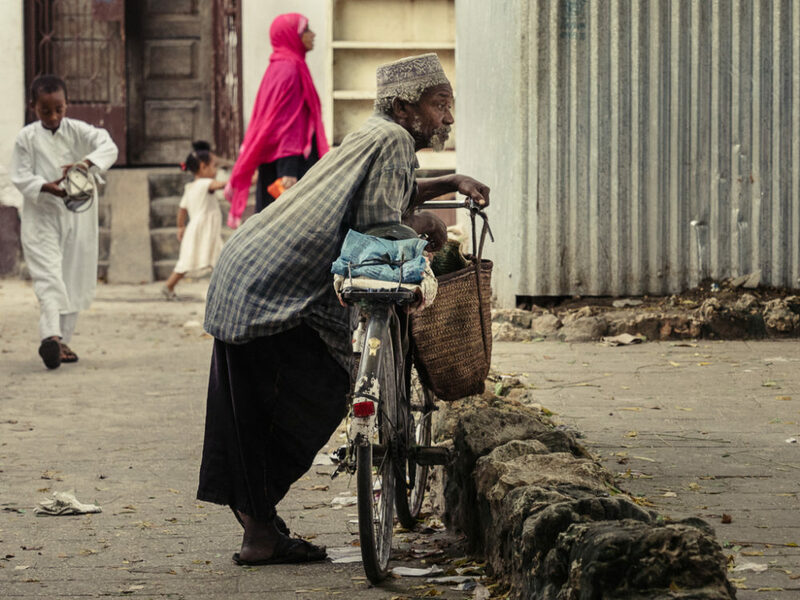 A man taking a break in Stone Town, Zanzibar. 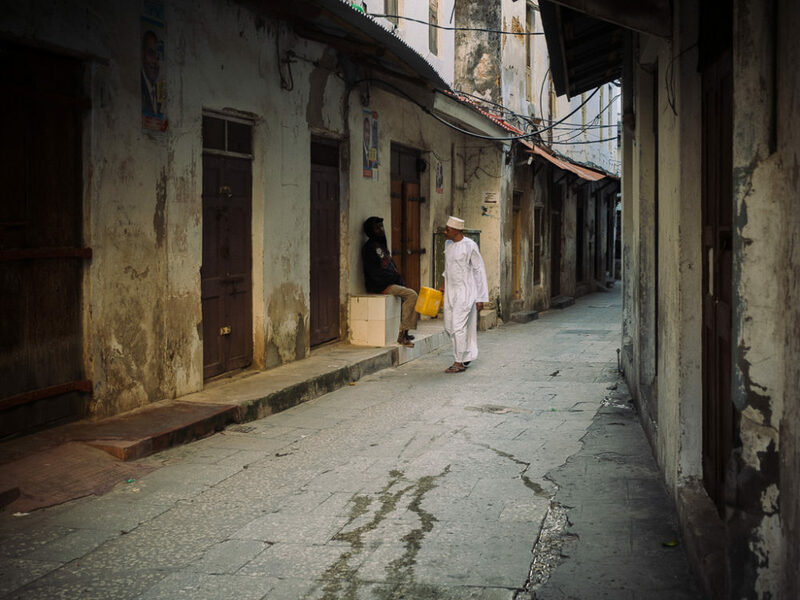 A narrow street in Stone Town. 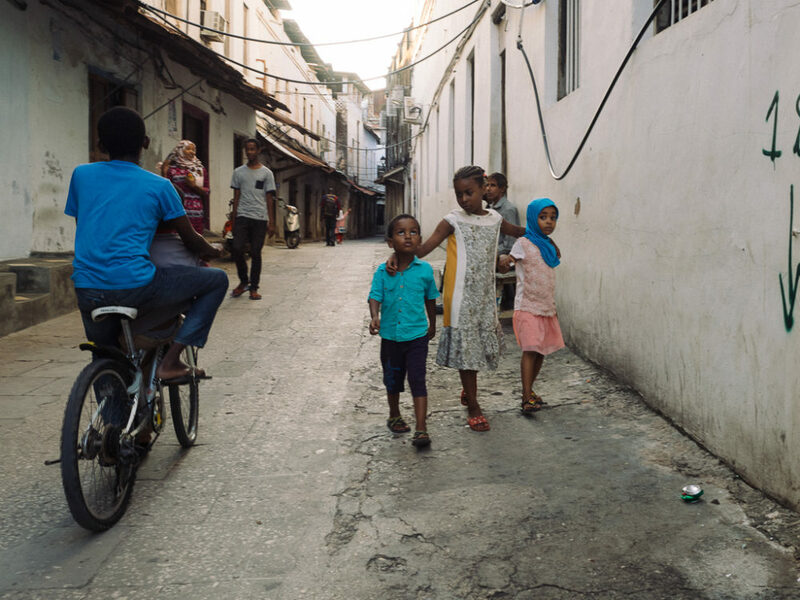 Young kids in Stone Town. 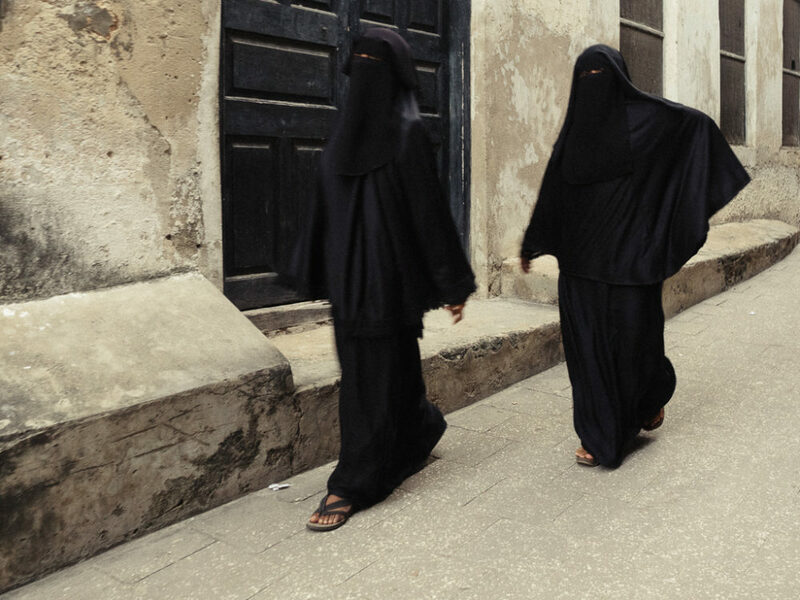 Two ladies wearing their black niqabs in Stone Town. 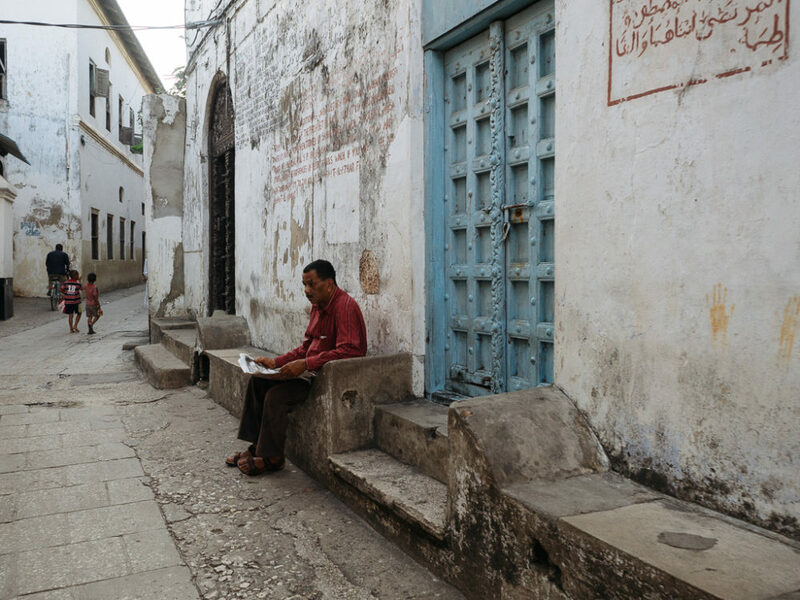 Somewhere in the narrow maze like streets of stone town. 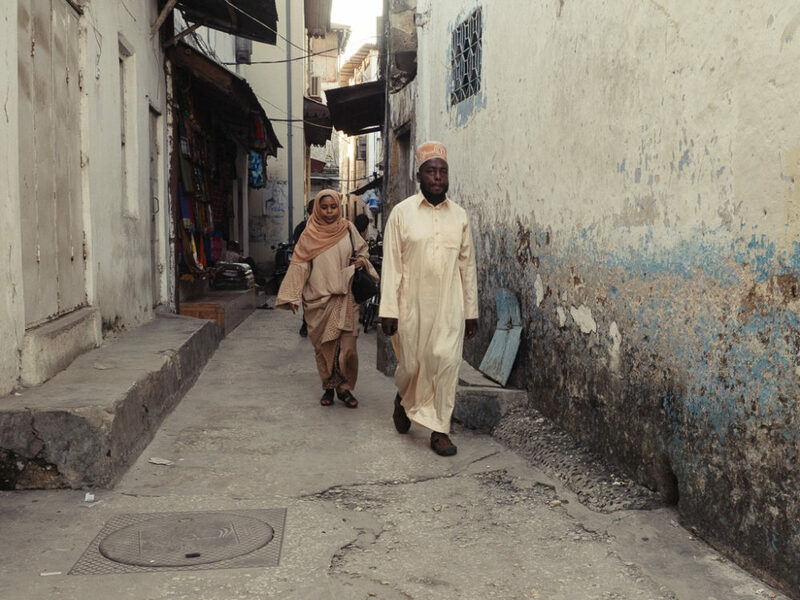 A husband, followed by his wife walking the streets of Stone Town. 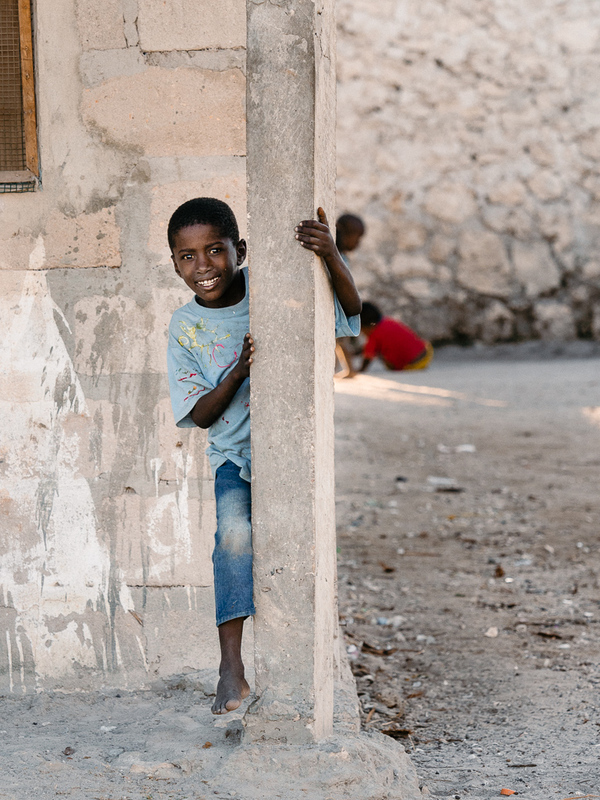 In the evening we took the car to Matemwe, a beautiful village on the west coast, with one of the best and longest beaches on the island. Our lodge was owned and run by an Italian, quite pleasant and very good value for money, although they have to make significant efforts in improving customer service. 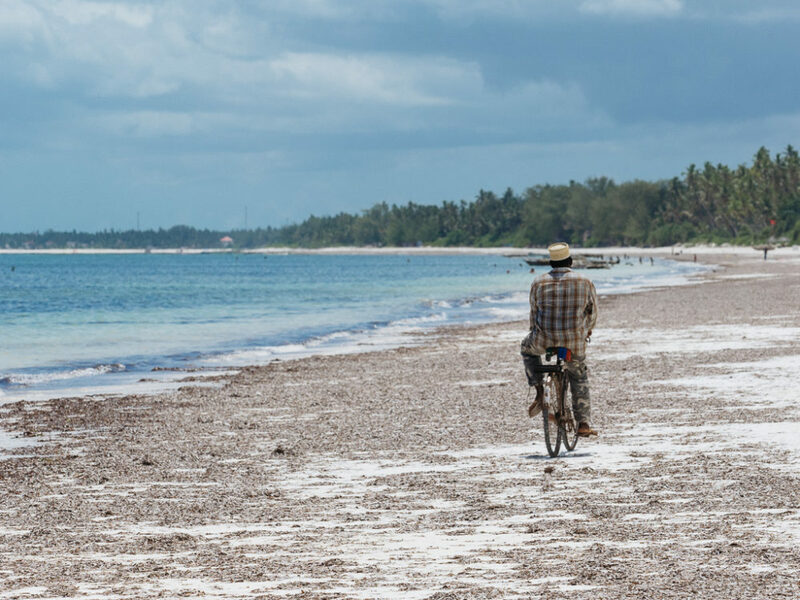 The wonderful beach in Matemwe. 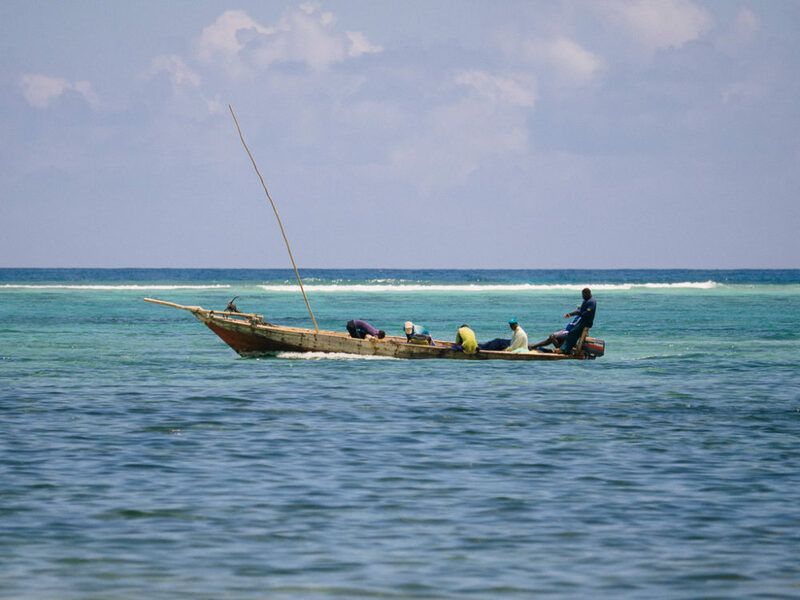 A fishing boat in the shallows of Matemwe, inside the coral reef. during the morning the tide is low and the beach is mostly occupied by children playing. 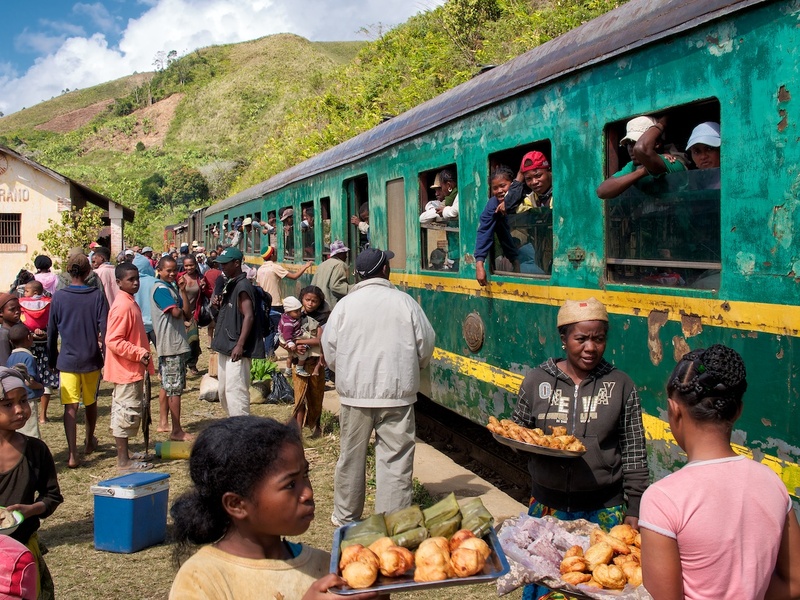 they are very friendly and go crazy if you offer them candies. They are undoubtedly the best guides to walk you to the coral reef, navigating among the myriads of sea urchins. 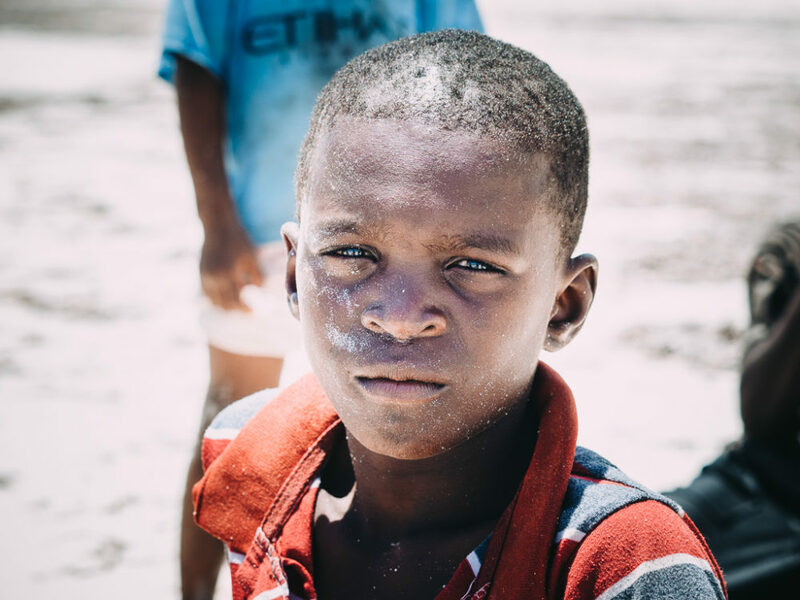 A young boy in Matemwe beach, in Zanzibar. 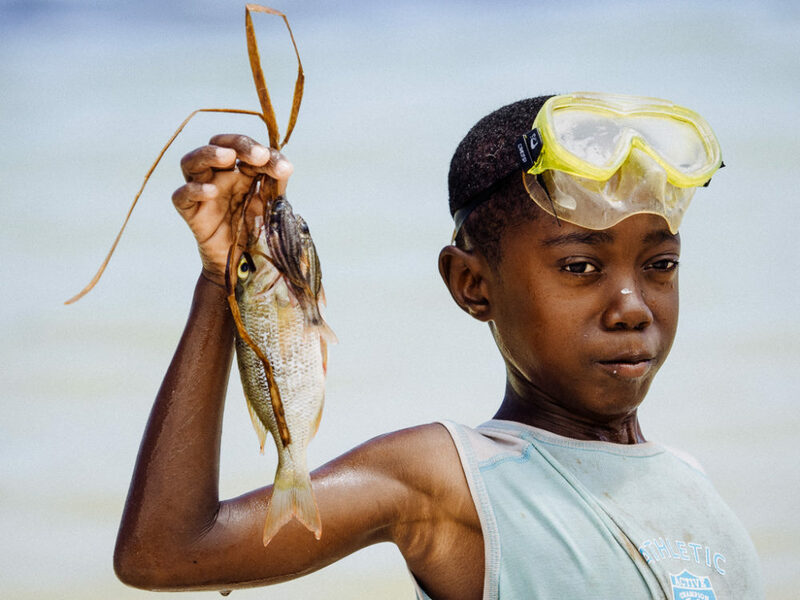 A proud young fisherman in Matemwe. 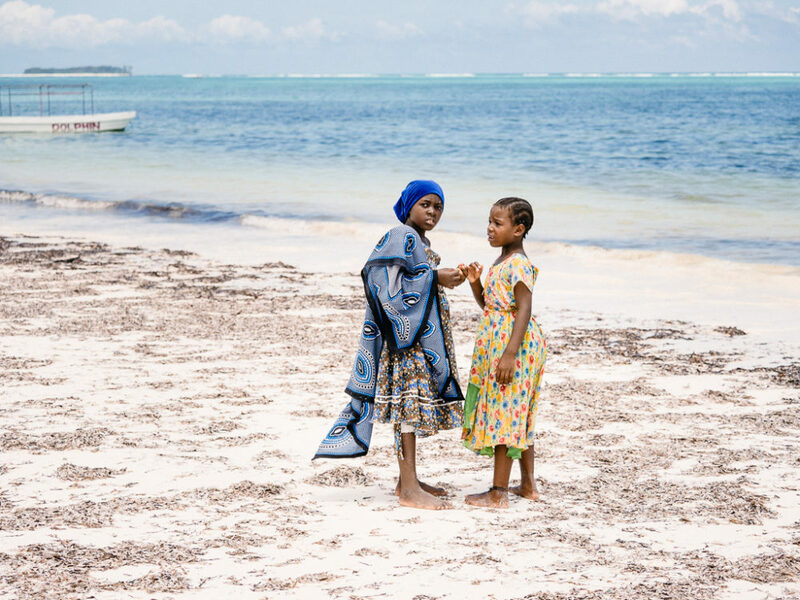 Two girls on Matemwe beach. 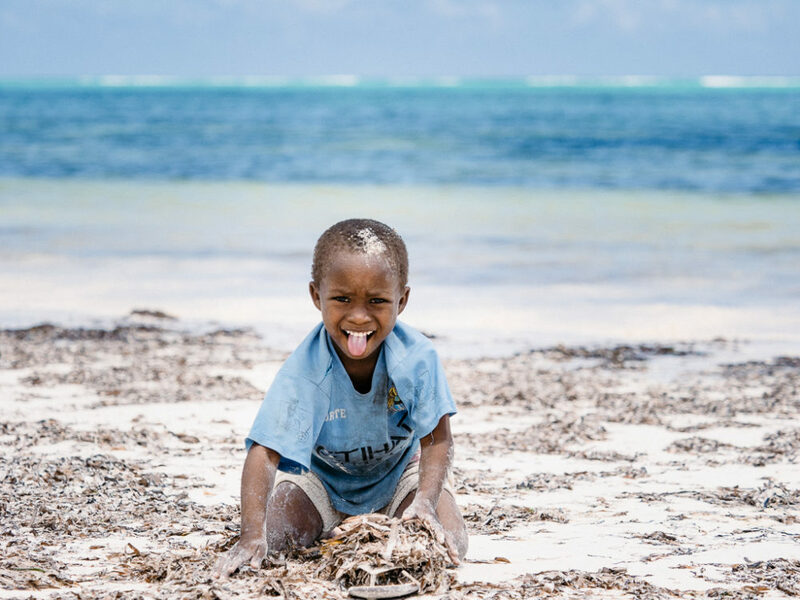 A young fellow showing me his tongue in beach of Matemwe. 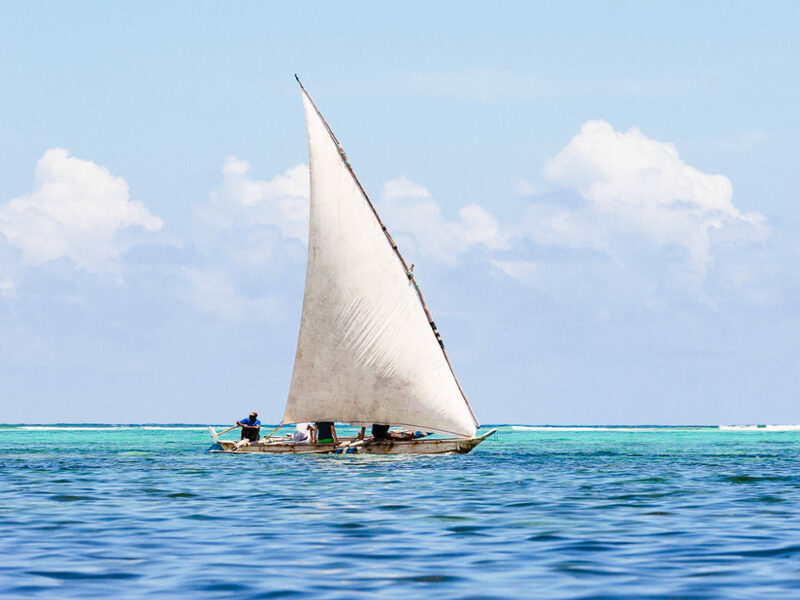 A fish boat sailing the waters of Matemwe in west Zanzibar. In the afternoon, we took a walk to the village which is right behind the fences of the beach lodges. 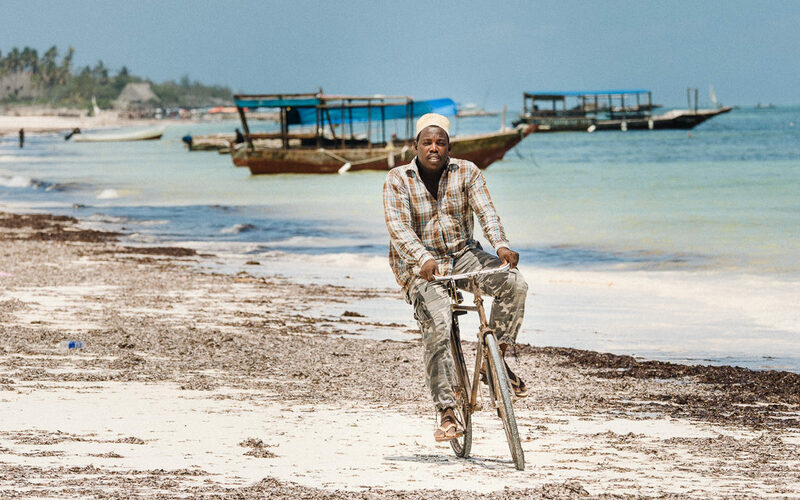 Matemwe is a beautiful village, offering an authentic view on Zanzibar’s everyday life. 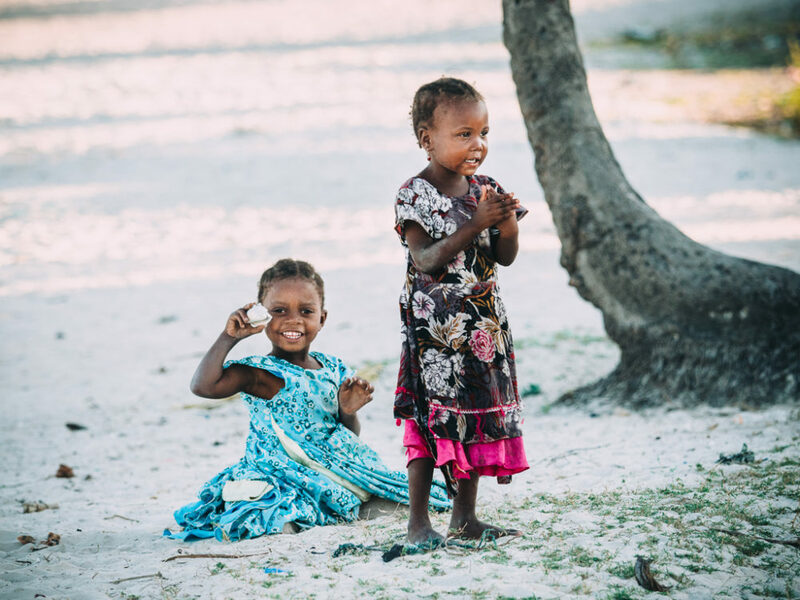 Two lovely young girls in Matemwe village. 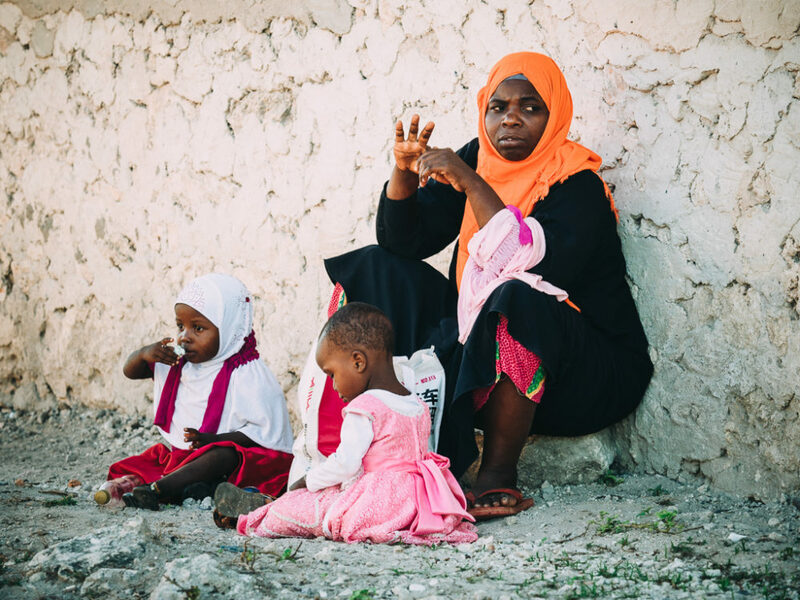 A woman and her daughters in Matemwe. 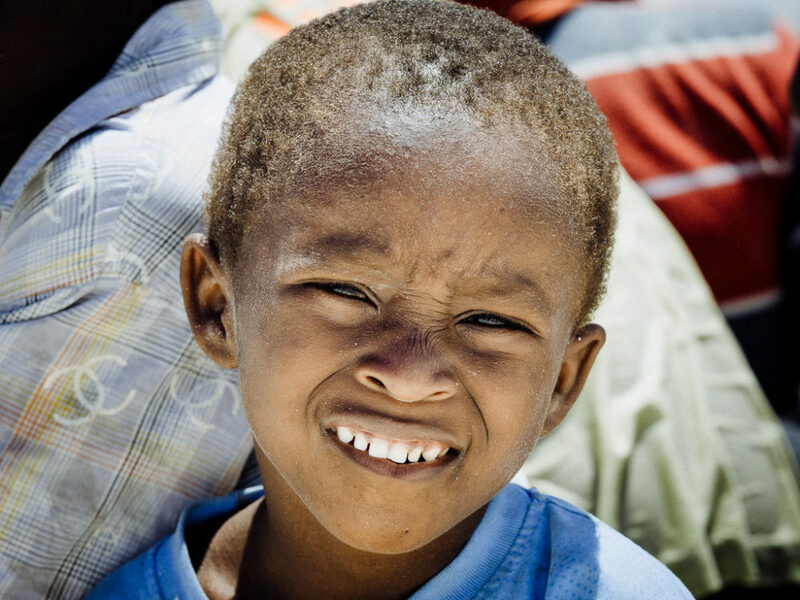 A young boy smiling in Matemwe. 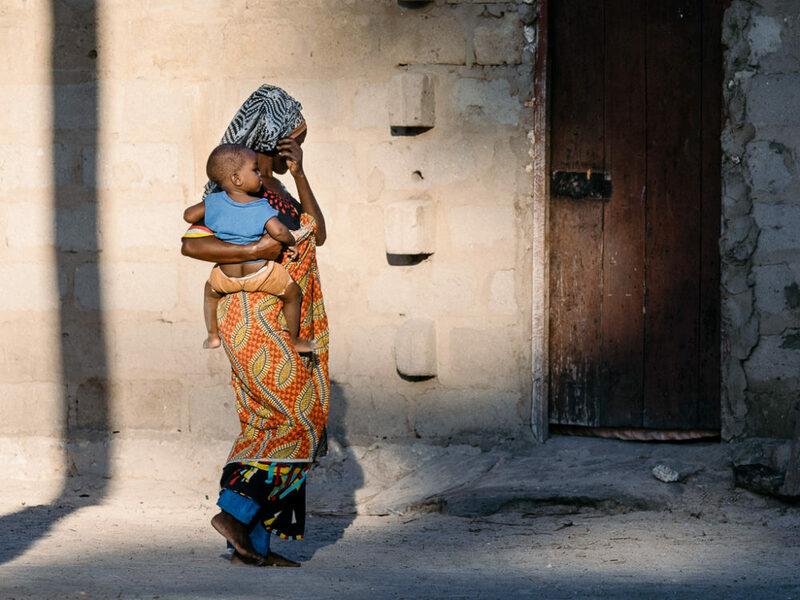 A woman carrying her son, being shy of my lens. Towards the end of the walk, we came across the football field where a local friendly game was taking place. 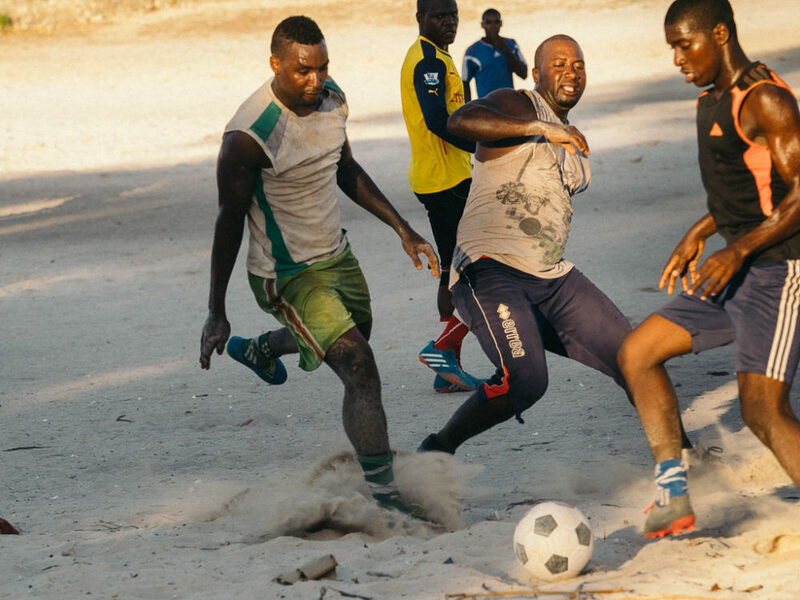 Friendly football match action in Matemwe. 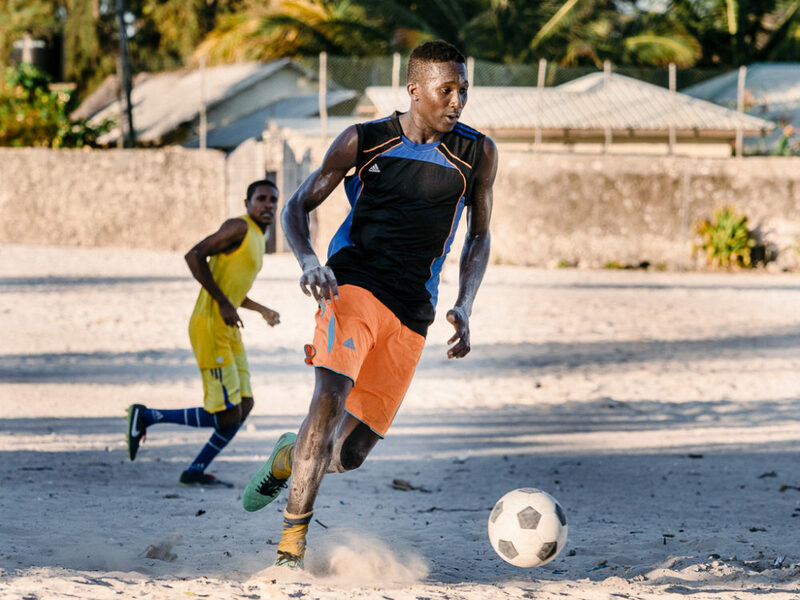 Playing football on the sand in Matemwe. 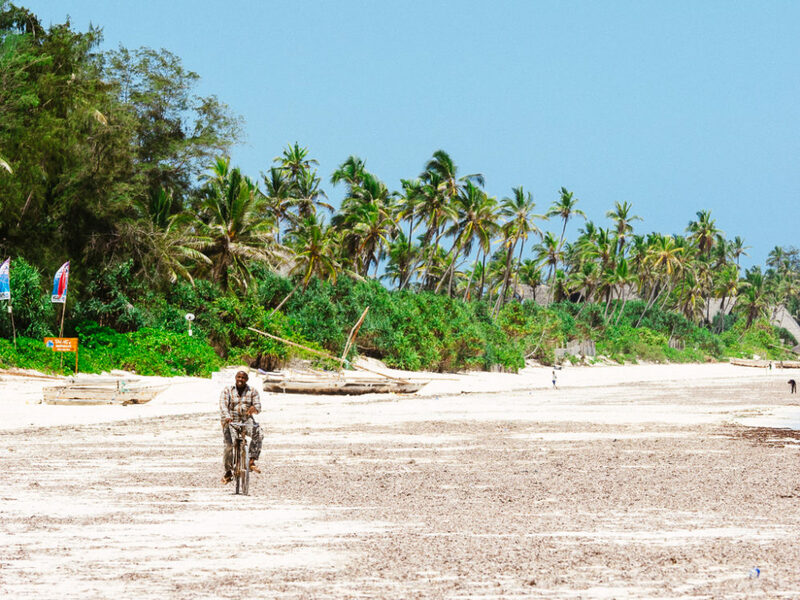 before the sunset, the beach becomes busy with fishermen that returned from a day in the sea, villagers that move between the south and north part of the village and kids playing by the sea side. 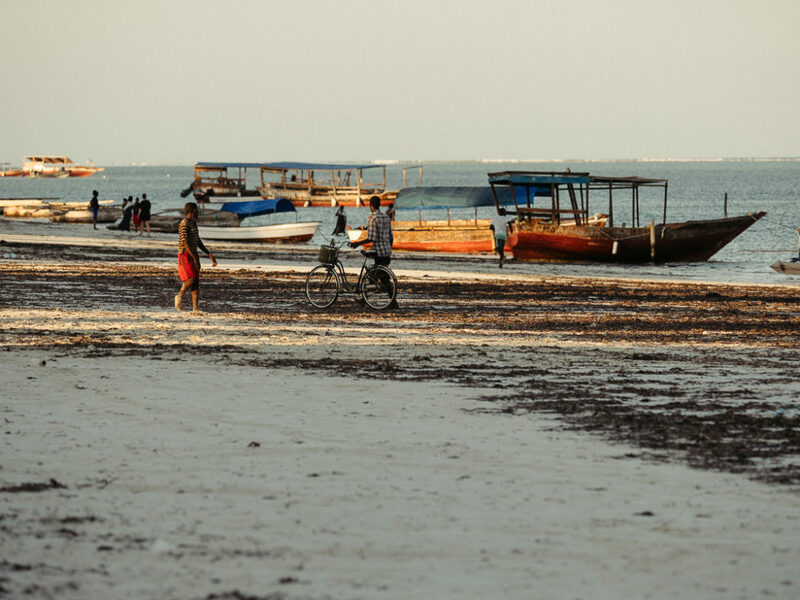 Before sunset, Matemwe beach gets busy. Fishermen maintainin gtheir boats, traders using the beach as the best bicycle route in the area and kids playing football transform the otherwise quiet beach. 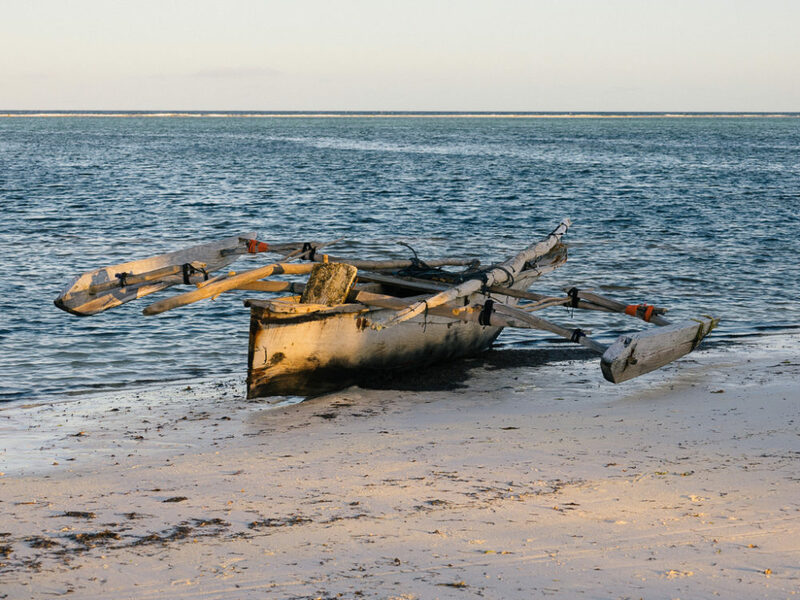 A fishing boat on Matemwe beach. 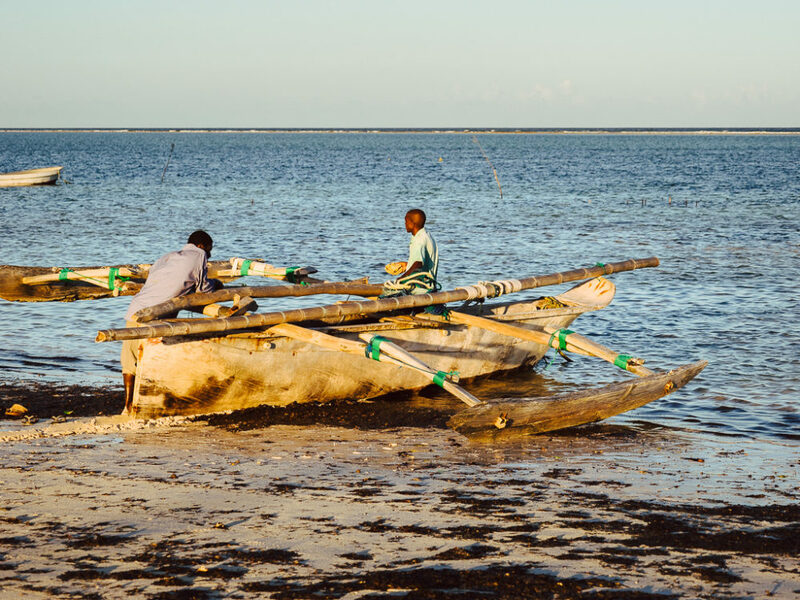 Two fishermen on their boat at the beach in Matemwe. 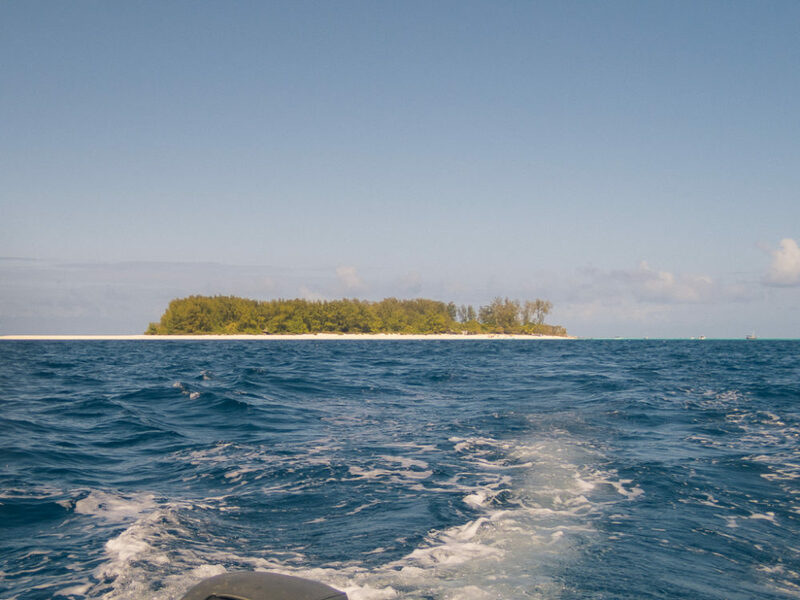 On our final day, we took a snorkeling trip to the nearby Mnemba island. The waters were relatively clear and we saw quite a number of fish but the highlight was a pod of dolphins that were passing by. We chased them for a while and managed to swim with them briefly. 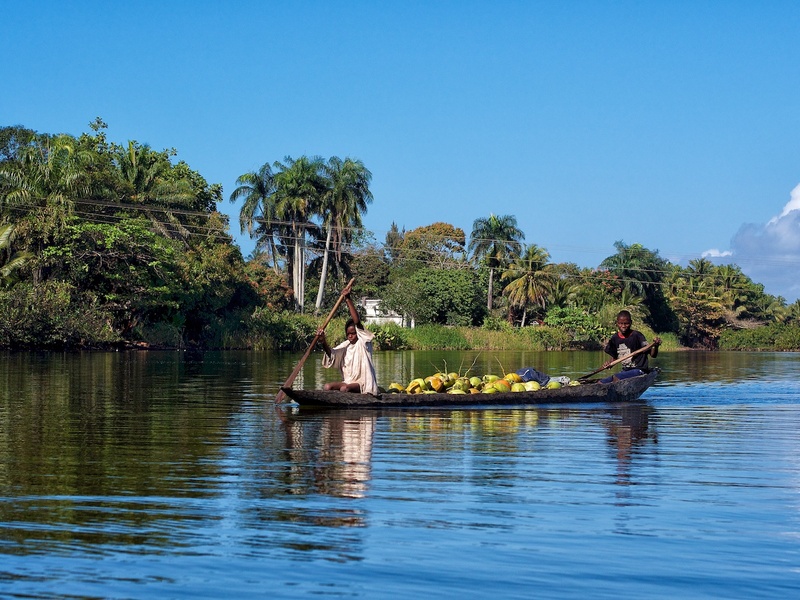 The tiny Mnemba island, a popular snorkeling destination. Swimming together with Sergeant Major in Mnemba. 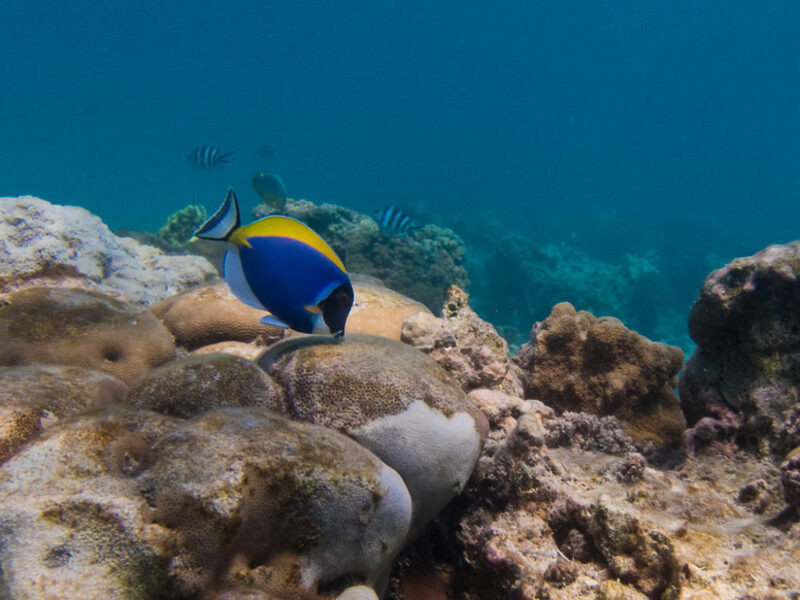 A powder blue surgeonfish with many sergeant majors in the background. 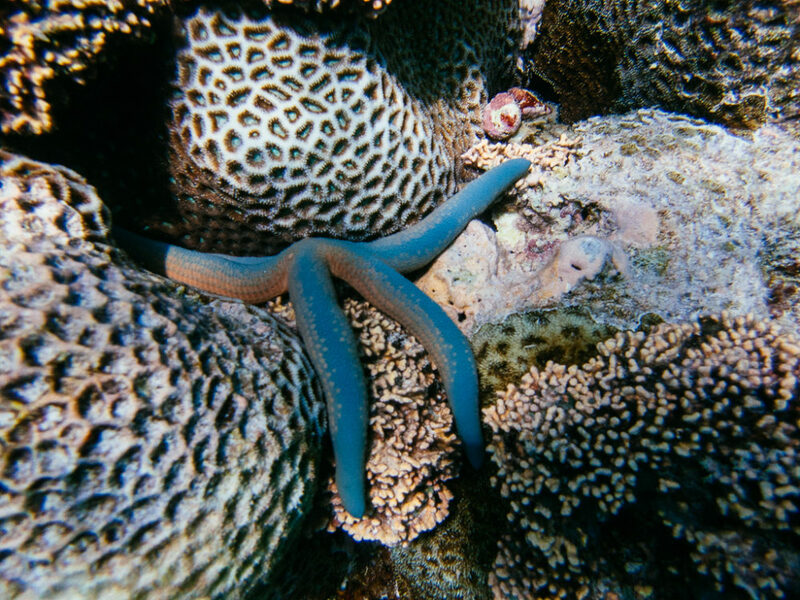 A blue strafish on the seabed of Menmba island. 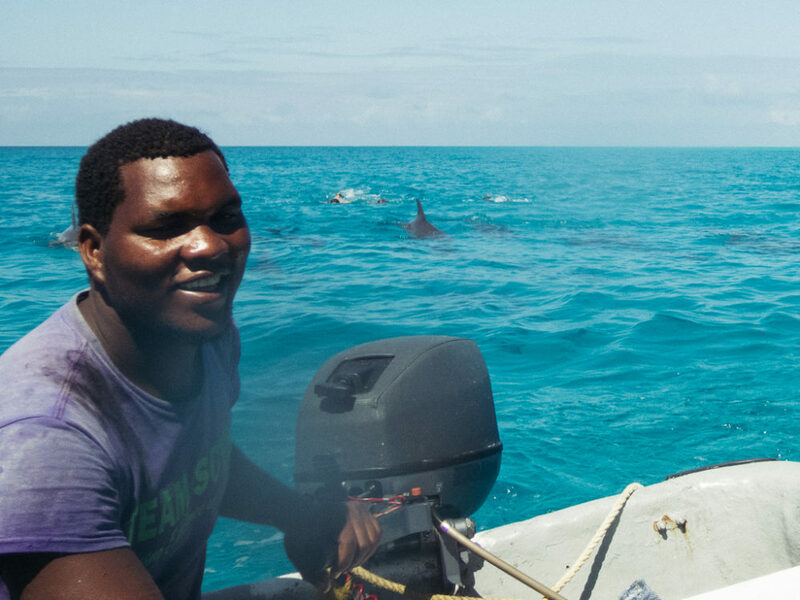 Swimming with a pod of dolphins in Mnemba. 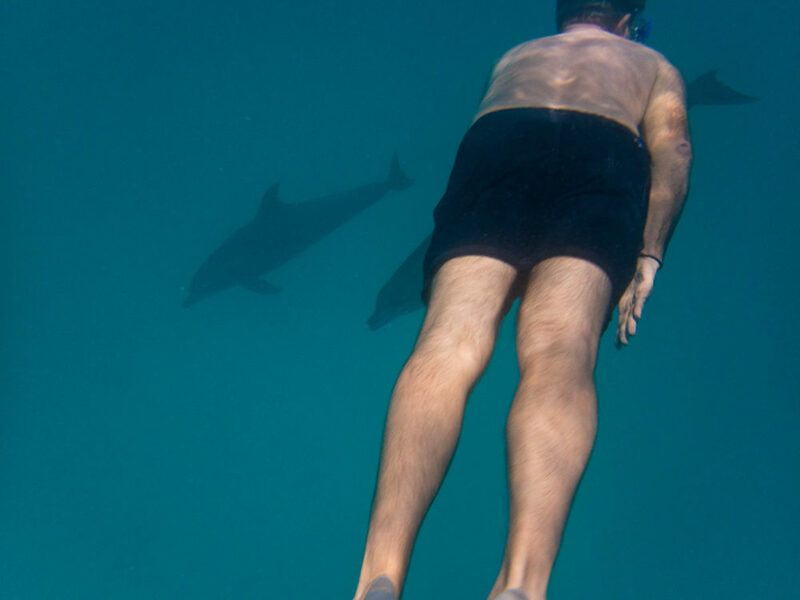 Yiannis swimming with the dolphins. It was a wonderful long and relaxing weekend, recharging batteries for the difficult business trip ahead. Indeed on the way back to Nairobi, the airport closed while we were approaching, because of a crash landing. 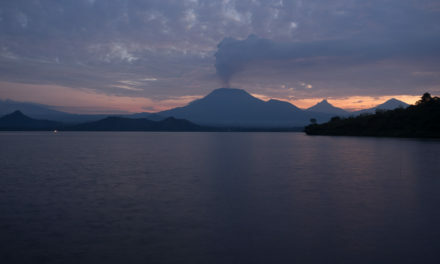 We had to divert to Kilimanjaro international, spent the entire night on the couch in the lobby and take the morning flight back to Nairobi for a full week of 12-hour business meetings.